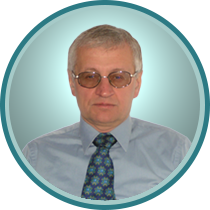 Professor Victor Semenov heads up the Laboratory of Medicinal Chemistry at the N.D. Zelinsky Institute of Organic Chemistry in Moscow. He is a CO-ADD Champion in Russia and one of our early participants. What sort of compounds are you having screened for antimicrobial activity with CO-ADD? I design anticancer molecules (microtubule destabilizers) from Russian plant metabolites, mainly from dill and parsley. Our molecules could be active also against bacteria, because they target tubulin. Tubulins in mammalians are close to FtsZ (protein) in bacteria which are responsible for cell division. How could CO-ADD contribute to your research? I hope to screen our collection of 150,000 molecules with CO-ADD, to find active molecules that will lead to publications and also engage in further collaboration with the CO-ADD team in the future. How can chemistry fight the war on superbugs and help find the next antibiotic? We have developed an interface to share our cancer screening results of the NIH NCI - Developmental Therapeutics program library. Researchers are able to browse activity reports for 570 molecules we have screened against 57 cell lines, including leukemia, melanoma, lung, colon, CNS, renal, ovarian, prostate and breast cancer (access the interface here). We are aiming to create a similar interface for the CO-ADD antimicrobial screening results on our compound collection to share the results and help the research community to find the next antibiotic.